It is only recently that I have managed to come into my own. When I started off, I was completely clueless! 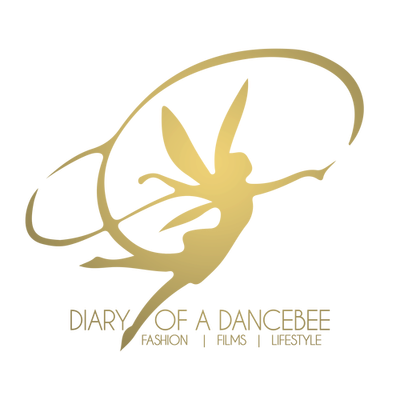 Although I had the experience of working as an assistant director and learned a lot, I didn’t really learn much about acting. Also, I was a low rank asst director and my job primarily consisted of taking care of the crowd. So, I wasn’t really around the area where all the action took place. Toh mujhe acting ki ABCD bhi nahi aati thi. On the first day of Band Baaja Baaraat, I just walked in and kept looking around. It took time to get adapted to the fact that I was given my own vanity van, where I could dress up and then, the team would call me when my shot was ready. I would often ask Anushka (Sharma) to clear my doubts about the entire process. I felt like a kid who has seen a huge toy store for the first time in his life. So, that’s how it all began. Right from acting to learning the craft and understanding how one is expected to function on the sets, I learned everything on the job. In fact, even when I won my very first award for the film, I was clueless about the whole process of entry and exit (laughs). Most of my pictures from that event had come out with weird expressions. Also, during my initial years, I wasn’t well aware about the way one needs to talk at a public forum. I would end up talking as if it’s my own living room (laughs). I often look at my photographs from those days and wonder, “Main aise kaise hua karta tha?” I would wonder if there is a certain mould that an individual needs to fit into, in order to survive as a mainstream Bollywood actor. Maybe, I was trying to fit in and it is only recently that I have managed to come into my own. I think 2013 was a big year for me. With the little bit of validation that you get for your work, you do start feeling more confident about yourself and also feel very comfortable. After a dream start in Band Baaja Baaraat, I didn’t have a release for almost 19 months. It was like a quiet phase. So, when Lootera came, it was well received and earned critical acclaim. Then, a few months later Goliyon Ki Rasleela - Ram Leela released and that was a big breakthrough for me. It is very important that the audience recognise that I am a versatile actor, because then, I will always have them looking forward to what’s coming up next. I am a very avid film watcher and I get very fascinated with actors. I have maximum respect for actors who are able to completely transform themselves in to a character. One of my heroes is Daniel Day Lewis. When you watch My Left Foot, you can’t say that he is the same actor who has also performed in a film like There Will Be Blood or a Lincoln. His characterisation is so distinctive, that’s it tough to find out if he is the same human being. Personally, I highly regard actors who have that kind of versatility and the ability to transform. I have always aimed to be like that. So, when I first heard the script of Bajirao Mastani, I realised that this character had that scope. So far, in my career I have been able to it in a decree which is recognised and I am very happy to get that kind of recognition for versatility - from being a Delhi boy in Band Baaja Baarat to a very flamboyant Ram and then, turning Peshwa in Bajirao Mastani. For me, it is very important that the audience recognise that I am a versatile actor, because then, I will always have them looking forward to what’s coming up next. The same goes for directors. I want to work with the best film makers and want them to believe that whatever character or mould that they have created, I will fit into that. I always ensure that I get some work done before stepping into the shoes of a character. Like for Band Baaja Baarat, I hung out with Delhi boys. I made friends with some guys from Delhi University, recorded their voice, took video clips. In fact, I found a guy who was a lot like Bittoo Sharma and I based my character on him. For Ram Leela, I did a complete Gujarat darshan for a week and worked on picking up the language, dialect, expletives among others. 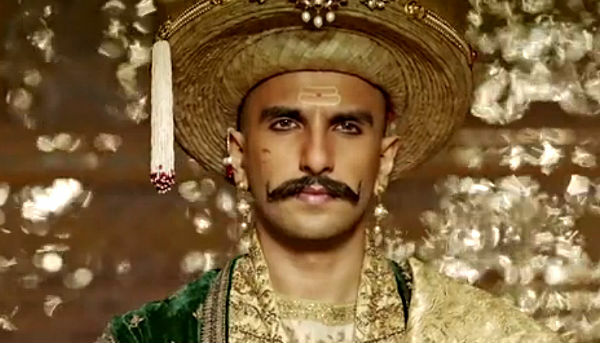 For Bajirao, it wasn’t possible for me to go back to the 1700s. So, I locked myself up in a room for 21 days and decided to cut off completely. In order to get into the character, you need to go away from yourself and your familiar surroundings. My process is different for every film, and I won’t call myself a method actor. I personally think method is a very loosely thrown around word. It's not that I wasn't fearless enough before this film (Bajirao Mastani). I have been quite fearless about all my dealings and choices in life. I often do crazy things, but only when it is required for a character. For instance, when we were shooting for Lootera, there were major portions where I had to walk around like I have been shot on my hip. I have never been shot and so, I was confused as to how I could project this. So, I spoke to some army guys and kind of understood what it feels like. I felt there should be a starting point of pain, which can further be amplified while acting it out. So, I would staple that area, which would hurt a lot and in half an hour, the portion would go numb and you can't feel anything. So then, whenever the camera rolled, I would remove the pins and enact the scene. Oh god! It used to pain like hell. So now, when I watch Lootera, I find everything to be quite convincing (laughs). Because right from the tip of my toe to the head, I used to be in excruciating pain. A lot of people ask, why do I such things and the only thing I can say is - It's coz' I don't know any better. His fearlessness! He is an absolutely fearless man, who did not fear any consequence. Not even death. He tackled everything in his life head on. That's one thing I have learned from the character. Why be afraid of anything? It's not that I wasn't fearless enough before this film. I have been quite fearless about all my dealings and choices in life. But after portraying Bajirao, it's even more. I really don't fear anything or anyone. I often wonder why people keep saying I am super energetic. Aisi kaunsi extra energy hain mere andar? I feel totally normal. Maybe, by the general standard of people in the industry, people feel like I have extra energy. It’s a basic thing, you see. I have always wanted to be an actor and I became one. So, whenever I get the opportunity to do something, I give it my all. Like Priyanka (Chopra) puts it, “You are happy with the just the fact that you became an actor.” I guess that’s where the enthusiasm and happiness comes from. I am someone who does not believe in living for tomorrow. There is no guarantee of the future and I have always believed in living for the present. I live each day like it's my last. So, every time I perform on stage, I look at it as my last show. When I essay a character, I work on it thinking it is my last film. The thought that I may or may not get the opportunity to do what I am doing right now, is deeply ingrained in my mind. That’s why, I always give my best at everything that I do. I remember working on an ad campaign, where the creative director spoke to me at length, understood my personality and worked on a tagline that goes, “Ab mein sab daal do.” That’s the philosophy that I swear by. Leave the past behind, don’t think about the future. Toh jo ab hain uspar mehnat karo. I am quite happy to be doing this film (Befikre). It's just what the doctor ordered after essaying a character like Bajirao (smiles). It's the kind of a happy romance that I really needed. A vacation that I have earned. Also, I was very keen doing on something light after Bajirao Mastani. My character in the film is absolutely lovely. I can't change my personality for anyone. I am very honest and open about a lot of things. I can never be diplomatic. Just that, after being around for some years, there are a few things that I am not comfortable talking about. Like, I don't allow people to shoot or take pictures inside my house. I don't want my family to get into the media glare, because that's one advantage I've got over other people, the fact that my family comes from a normal background. So, I don't want them to get caught up in this fast and fancy life, that comes along with this profession. I get very excited when I see my fans, especially when it's a large crowd. I love it! I am a people's person. I feel like there is always a positive exchange, whenever I meet my fans. Somehow, whenever I am there, people smile a lot and I love that. And when they smile, I smile back (laughs). I am a crowd pleaser, a showman, an entertainer and I like being that way. I like to keep people entertained through jokes. I love seeing laughter, happiness and fun in every atmosphere that I am a part of. Like Naseer sir (Naseeruddin Shah) says, "If the world is a stage, and if Life is a play; you, my friend, choose to play the fool." And he means it in a good way, as the fool was the positive one. I have no interest in being a king. I am very happy being the court jester (smiles).